Baltimore Mayor First. William Donald Schaefer may have been a two-term Governor, but his heart belonged to Baltimore. 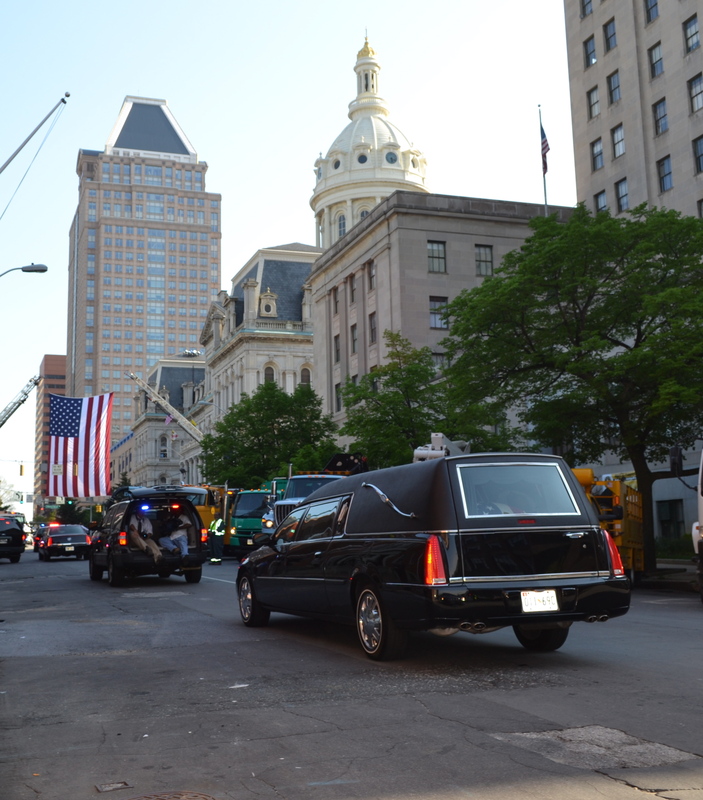 The late Governor and Baltimore William Donald Schaefer heads to City Hall one last time. 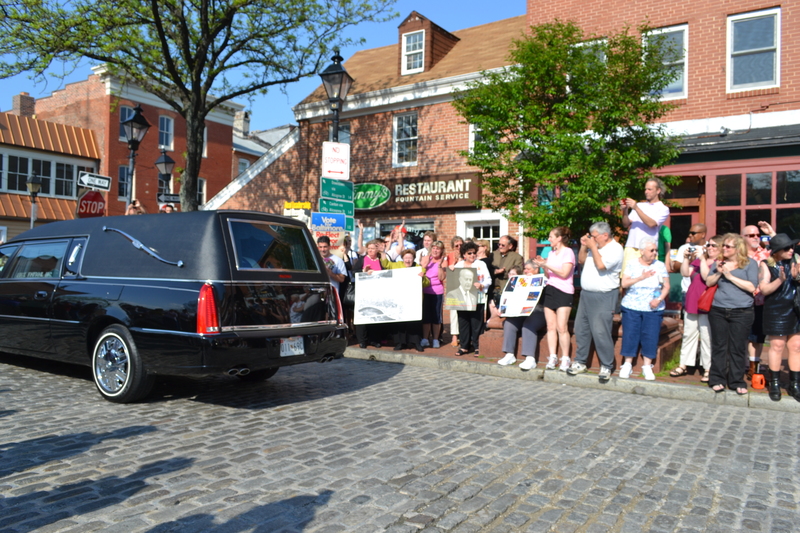 There’s a reason, that the pugnacious funeral procession started Monday morning in Annapolis where William Donald Schaefer officially hit his career crest as governor from 1987 to 1995, but ended roaming through his hometown of Baltimore before landing for a day of viewing at City Hall . Baltimore is still morphing into the vision that he created 40 years ago. As Baltimore’s histrionic Mayor, he grabbed national attention for having the gall to envision a dirty rotting wharf-front as a gilded tourist attraction. Here is where he made his mark as four-term Mayor Willie Don. Schaefer will be eulogized as the guy who flipped the switch for mayors stuck with dying waterfronts not just nationwide, but worldwide, to view their harbors , not as derelict land but potential vacation spots for tourist looking some of that beach vibrations in between their jaunts to the ocean. Why couldn’t people get that good ol boardwalk stroll in the city. Crazy. Preposterous. Nuts as the guy who jumped into the seal tank at the National aquarium. Oh wait that was Schaefer. But to Baltimore he was so much more. He was an old school character, tough and goofy, a little hard-boiled, part Comic Costello. He exuded a kind of fairy tale aura that drew you in the schtick and still did even from the hearse. Even on Monday’s procession, you were in his world. I saw this one last time today. 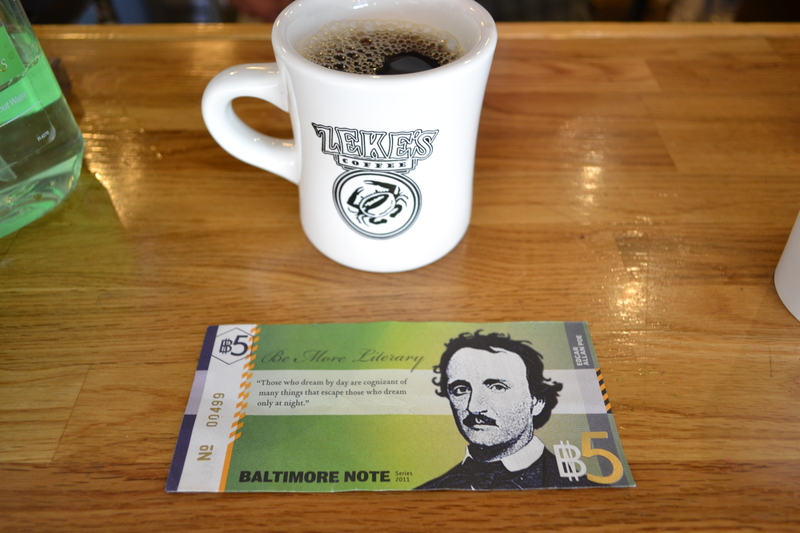 When I was standing in Fells Point, one of about 14 stops on his tour de Baltimore before he was laid out at City Hall. I was standing in this still yet to fully blossom Colonial seaport, home of the Baltimore clipper, 1812 privateers and tugs vacated to make way for a waterfront hotel that has yet to appear. This was also the place that Schaefer wanted demolished in the late 60s and 70s for I-95, 695 interchange. This was the place where Schaefer realized the strength of the neighborhood, after fierce fighting, enduring protestors dressed like American Revolutionaries, and he realized that rather than bull them over like Robert Moses did up in New York, he embraced Fells Point and neighbors in the city. So there stood his chief foe, Barbara Mikulski, now a U.S. Senator flanked by neighborhood activists of days long gone. She told me how during the long battle, a low point came after she, then councilwoman, lost a bill to save the neighborhood and other waterfront stalwarts like Federal Hill across the Harbor, which now stands as Baltimore’s more humble version of Boston’s Beacon Hill.. But rather than bask in his victory, Schaefer noticed something big was brewing in the neighborhoods. He called Mikulski and others in for a sit down and fate did a slow change. And when the motorcade finally ambled up the Fells Point cobblestones and came to rest in front of Jimmy’s Diner, a one time politico hotspot, the cluster of a crowd cheered. About 50 strong went ecstatic — a strange reaction at a funeral procession. But it was as if the mayor was gonna step from the black shine of the limo , his eggplant head never find balance on his neck, always in motion, looking for an angle, contorting his face, rolling his eyes, yes even clown-like. His act was infectious when at his prowess and at times sadly ill-timed when he got older. Still he was pure Baltimore, a tugboat of a man, tenacity done different. So when Old Schaefer failed to step out the limo, they cheered for his aid, as if it was a homecoming. The strangeness stretched on as a classic Schaefer event, which of course it was, hitting spots like Faidley’s at Lexington Market and was it an accident that limo paused in front of Attman’s Deli on Lombard Street as if he was going shoot the you know what in the KibitzRoom. Schaefer's entourage heads down what was once the heart of Jewish Baltimore. Working the crowd, today’s pols should be as masterful. I remember when I had a similar private audience with the king. It was behind old Memorial Stadium, three-quarters demolished. I was doing my first documentary, about Baltimore’s emotional hold on the stadium, which he argued unsuccessfully to save. (Why I’m not exactly sure) On his suggestion, he pulled up and jumped out of the Limo and laid down the reasoning, how the demolition of the stadium was a failure of imagination. He did this right in the middle of the street and just nailed it with no press hands, no guards. Just him in his suit and the limo. Then he jumped back in and jetted.Whether you agreed with his politics. (He didn’t make too many friends when he bailed on Jimmy Carter for Reagan back in 1980), you had to admire his mastery of the craft. Of course the major flaw with Schaefer’s plan was you can’t replace an economy w th tourist glitz even if you crown it with jewel of a baseball stadium. A major salvo against Schaefer was his avoidance or glossing over some the major urban issues, the crushing repercussion urban renewal, like of jobs in the city . Baltimore’s African American community lost the very historic assets that now would help turn around neighborhoods like Pennsylvania Avenue’s one time famous jazz district. 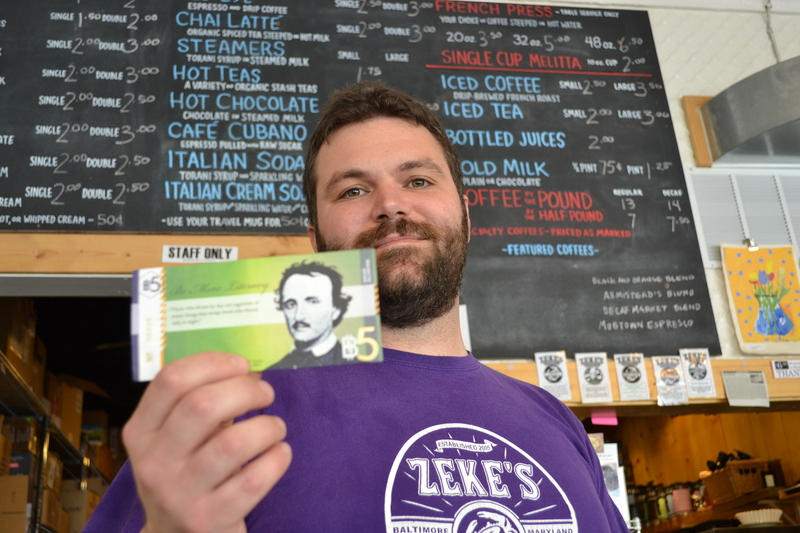 Schaefer’s passing isn’t an end of an era. That era was long gone. You could see it in the ragtag crowds around town. There were clusters of people, A few hundred here, 90 there. But the thousands were absent. That may because many of the Baltimore contingent are dead or have left the city a while back, although I’m betting his funeral on Wednesday will be a major draw. Of course the major flaw with Schaefer’s plan was you can’t replace an economy with tourist glitz even if you crown it with a jewel of a baseball stadium. A major salvo against Schaefer was his avoidance or glossing over some the major urban issues, the crushing repercussion of urban renewal, the loss of good paying jobs in the city . Baltimore’s African American community lost the very historic assets that now would help turn around neighborhoods like Pennsylvania Avenue’s one time famous jazz district. Where is that kind of politicking today? Don’t tell me, time is better spent on strategic placement like Obama visiting Facebook’s headquarters.Compare the luke warm to snarky coverage he got to the New York Times front page photo of Obama running up the steps of the Lincoln Memorial to surprise tourists, after he managed to strike a deal to avoid a government shutdown. We need to get back to the human level. 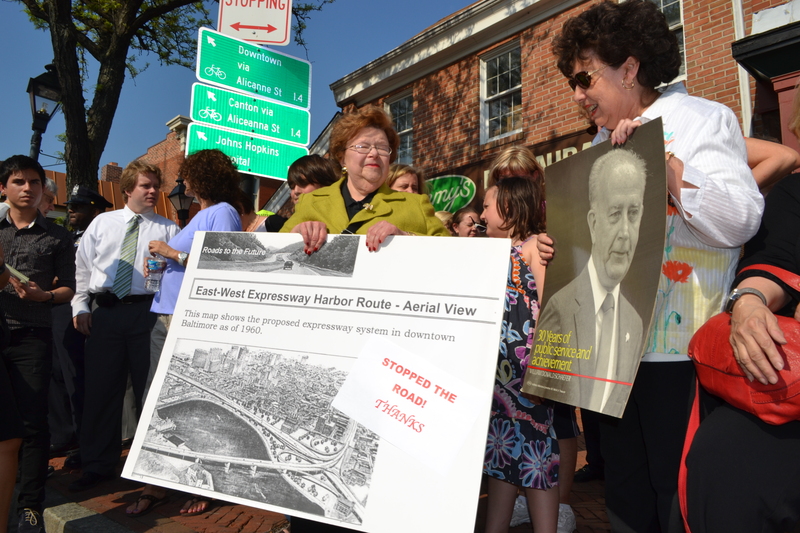 That’s why Schaefer even though after beating back Mikulski’s bill was able to see the human potential that she represented and he eventually came around to seeing Fells Point and Federal Hill as Baltimore assets. That insight shaped what Baltimore is today. We could have easily been in Newark’s position even if we live with in a two tier society that David Simon’s Wire so deftly depicts. Schaefer’s was a vision of classic slow cooking. It took two developer’s renaissance after Fells Point and Federal Hill was saved in 1970s for other neighborhoods to emerge nearly 30 years later as go-to waterfront spots like Canton, Locus Point. 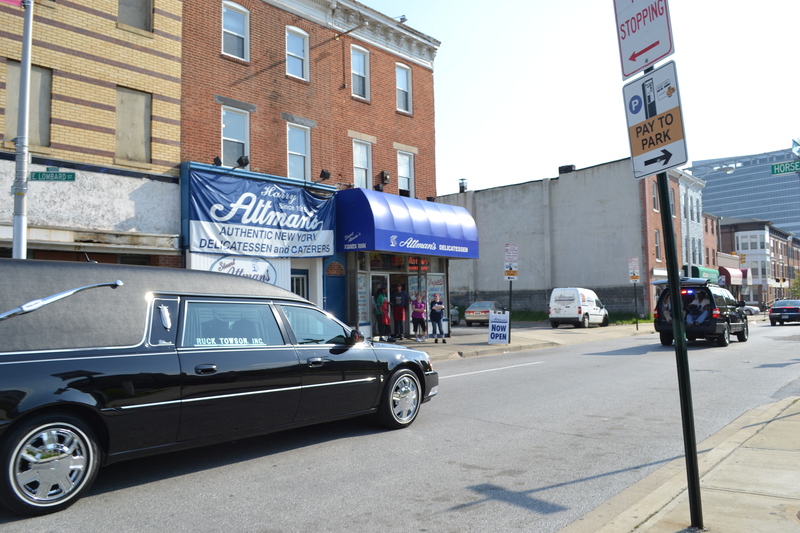 That’s why on a Monday afternoon, people in Fells Point cheered when the hearse slowed to a standstill. They wanted so badly for someone to pop out once again with that kind of audacious, infectious belief in Baltimore.